← Culture and nature in Iguazu falls. Iguazu Falls are one of the natural wonders of the world. One of the inescapable rides to be done in Argentina and Brazil. In fact, the border between the two countries crosses the Devil’s Throat, the horseshoe where the largest flow of water falls, and the place where nature provides one of the most impressive spectacles on a planetary scale. The Iguazu Falls are a destination that requires more than one day of visit, Iguazu falls is an unforgettable experiences side Argentina and Brazil side that we describe in a list of 5 items to take note, and of course, trigger the desire to travel to a paradise tropical as few. 1. Go through extensive catwalks and see the falls from all angles. Although there are many ways to visit and appreciate the waterfalls (in gomones, helicopters) there is probably no better option than walking along the catwalks built around the falls. The trails and footbridges are plentiful, and are specially designed to withstand corrosion and water strength without damaging the environment. Walking is a real adventure to get into a natural wonder, and explore from many angles. The footbridges usually finish in lookouts where to take good photographs and above all, to marvel before so much natural beauty. There is a lower circuit of footbridges, which allows us to observe the falls from below, without any risk, rather than to moisten us and also have fun. From the Argentine side, and after making a trip in a tourist train, you access the Devil’s Throat, the horseshoe-shaped waterfall sector, and the most imposing corner of the Iguazu Falls. To get an idea of ​​the power of water, in the heart of the waterfalls of the Iguazú waterfalls can generate a steam that rises, and can be observed up to 7 kilometers away. It is precisely in the throat of the devil that the cataracts can shake us with their roar and their power, with falls from 80 meters in height. The experience of approaching the Devil’s Throat is unforgettable and unforgettable, and we can get to be only 50 meters away. An encounter with nature and the jungle. Both the Brazilian side and the Argentine side, the area is declared as a National Park. The spectacle of visiting the Iguazu Falls is not only the opportunity to find a natural wonder of jungle and water, but also, to observe the own fauna and flora of the place with its enormous biodiversity. 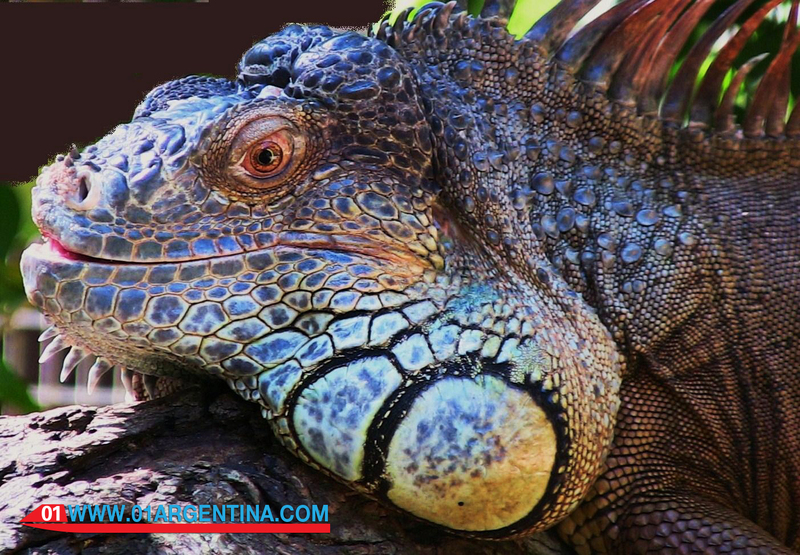 Between the two parks there are 2,500 km², and you can see dozens of plant and animal species, among which are easy to see the friendly coats, colorful toucans, lizards. Also, there are other specimens of fauna more difficult to see, such as the jaguar, tapir, anteater or yacarés. Appreciate the falls on full moon nights. If you had to deploy another variant to get to know Iguazu Falls, another way to appreciate them is probably the night visit, another excursion that is organized on full moon nights. In total, there are five nights per month where, depending on the moon departure times, rides are organized through tourism agencies. The walks are made with guides and in small groups. Not only is it all a spectacle to walk at night next to the falls (it is done by the circuit of walkways of Devil’s Throat, on the Argentine side) but also, it is an experience to walk through the jungle in silence at night. And take a shower of luxury on rides in gomones. And now, the most adrenalinic visit to the falls is the excursion in gomón, which will allow us to feel and live the waterfalls in an entirely new way: navigating, approaching waterfalls, soaking in the steam and splashing, shuddering with the overwhelming sound near the devil’s throat, navigating “fast” challenging the potential of water.